​Saturday's game against Portland was a heartbreaker for Falmouth Yachtsmen Varsity, as they lost the lead late in a 7-4 defeat. The game was tied at three with Portland batting in the top of the eighth when an error scored one run for Portland. Portland got things moving in the first inning. Will Snyder grounded out, scoring one run.In the bottom of the sixth inning, Falmouth Yachtsmen Varsity tied things up at three. A sacrifice bunt by Garrett Tracy scored one run for Falmouth Yachtsmen Varsity. Falmouth Yachtsmen Varsity scored three runs in the sixth inning. Garrett Aube, Ike Kiely, and Tracy each drove in runs during the inning.Donnie Tocci was the winning pitcher for Portland. He surrendered four runs on seven hits over seven and two-thirds innings, striking out four and walking one. Brian Riley threw one-third of an inning in relief out of the bullpen. Riley recorded the last out to earn the save for Portland. ​Tracy took the loss for Falmouth Yachtsmen Varsity. He lasted seven and a third innings, allowing six hits and five runs while striking out two. Falmouth Yachtsmen Varsity scattered seven hits in the game. 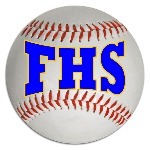 Aube, Griff Aube, and Kiely each managed multiple hits for Falmouth Yachtsmen Varsity. Kiely, Aube, and Aube each managed two hits to lead Falmouth Yachtsmen Varsity. Portland totaled eight hits. Will Barnard and Ben Stasium each racked up multiple hits for Portland. Barnard led Portland with three hits in three at bats.